The school is located in a beautiful, recently renovated colonial building, only two blocks away from the famous Plaza de Armas of Cusco. The school occupies the first and second floor where you can find big and brightly-lit classrooms. Many of them have the traditional blue balconies unique to Cusco that overlook San Augustin Street and the beautiful cupola of the Santo Domingo Church. In addition to the larger classrooms, there are also smaller spaces for individual and private classes. Some of the classrooms are located downstairs along the sunny courtyard where the administrative offices, the head of studies office, the volunteer coordinator's office and teachers room are also found. The immense staircase up to the second floor leads to the rest of the classrooms. The second floor also contains a large room with a beautiful high ceiling for meetings and student activities, as well as big common spaces with a cafe that overlooks the courtyard. Amauta has its own travel agency named “Dos Manos”, which is also located in the school building. Every week Dos Manos organizes weekend trips for the students of the language school. Some examples of the trips are rafting, horse riding or visiting typical villages and ruins in the area. The excursions can take place in Cuzco itself, in Puno, Lima or in La Paz. Classes take place in small groups of maximum 6 students per group, this way each student will get sufficient individual attention. The program consists of 20 lessons per week and the groups will be based on the language levels of the students. A written and oral placement test at the beginning of the programme will determine the level of each student. The transfer upon arrival in Cusco is included in the price, if you have booked accommodation through StudyTravel. It is also possible to book an airport transfer upon arrival in Lima, which includes transfer from Lima airport to hotel, one night in a 2 star hotel double room and the transfer the next day back to the airport for your flight connection to Cusco (this service costs € 102). In 2019 the school is closed on: 01/01/2019, 19/04/2019, 01/05/2019, 20/06/2019, 24/06/2019, 29/06/2019, 28/07/2019, 29/07/2019, 30/08/2019, 08/10/2019, 01/11/2019, 08/12/2019, 24/12/2019 (after 2pm), 25/12/2019, 31/12/2019 (after 2pm). Lessons will not be recuperated, but activities will be offered. By combining group and individual lessons, you can bring your Spanish in a shorter time to a higher level. During the 4 daily group lessons you can take advantage of group discussions and getting to know other international students. Followed by this you will have 1 or 2 daily individual lessons which enable you to focus on your personal language issues and weaknesses. This way, you can improve learning elements like for example grammar, conversation, vocabulary or pronunciation. The one-to-one course is designed for those who want to optimise their study time. The aim of the one-to-one course is to offer a fully personalised method of teaching designed to meet the specific student's needs and desires. As the one-to-one course is private, the student will be able to decide the schedule and content. The Duo course in Cusco allows students to define their own Spanish language objectives in order to create a programme adapted to their Spanish level and learning pace. The programme is designed for two students. As the course is private, the two students will be able to decide the schedule and content. Important: The Duo course can only be booked by two people who travel together and have the same level of Spanish. 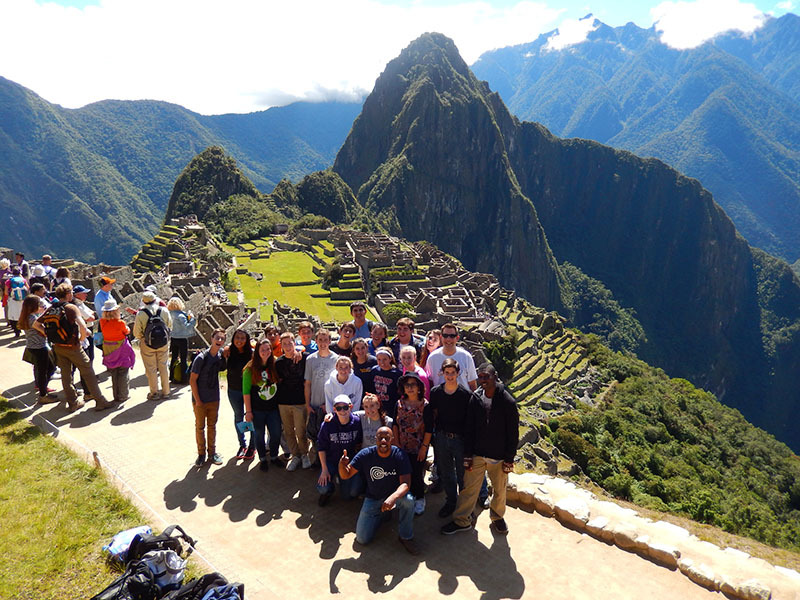 The Spanish & Culture course combines the Minigroup course of 20 lessons Spanish per week with 10 culture lessons per week to learn more about the exciting culture and history of the Inca people. The course has a fixed duration of 2 weeks and specific starting dates within the year (see below). You will stay in a single room with half board. All host families live in within a maximum 25-35 minutes walking distance from the school. It is also possible to use public transport to go to school; the costs of this are very low. You will share the living room, kitchen and bathroom with the family and possibly with other students. If you are travelling together with someone, you can share a room but please note that the number of twin rooms is limited. You will stay in a single room with half board. You will share the living room, kitchen and bathroom with the family and possibly with other students. Accommodation with an executive host family offers more comfort than a standard family. Your room is bigger and the food is more suited to your needs and wishes. The families live in quiet neighbourhoods outside the city centre and are particularly suitable for older language students. The residence is located in the school building. You will live with many other students from all around the world. The bathrooms are shared and you have access to a communal kitchen, living room and terrace. There are single and double rooms available. The cook of the residences restaurant prepares delicious local and international dishes. The residence accommodation includes half board: daily breakfast and a three-course lunch (on weekdays).